Ehehe... Let's go Rumia, surprise attack! ...I am unable to believe it. ...fufu, eat all you like to! 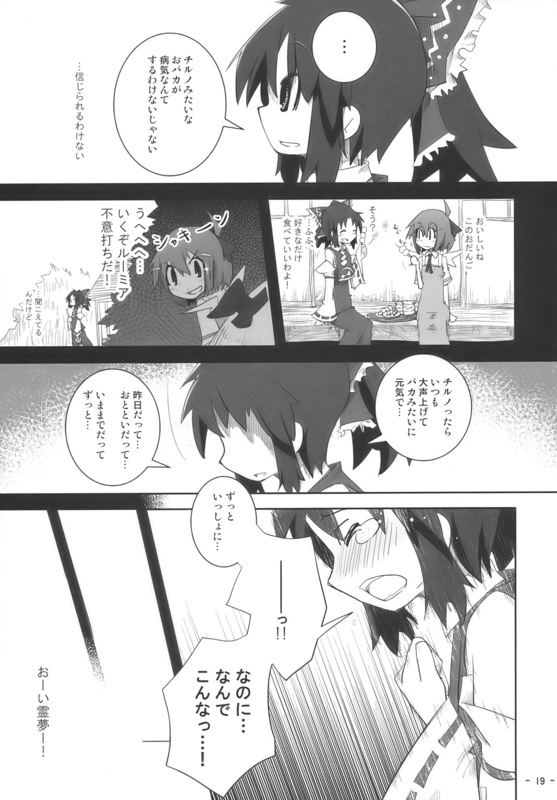 Idiots like Cirno falling ill cannot happen. And yet... How can this happen...!